Welcome to Lost And Found Pets Of Long Island (LAFPOLI) What to do if you lose your pet? to add your lost/found pet! 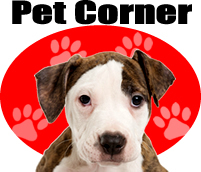 It's crucial you spread the work quickly and post your lost/found pet on our Facebook community page. We have almost 15,000 followers in our network!!! Networking is key! When you are part of LAFPOLI, you are NOT ALONE! to help If your pet goes missing, or you find a stray pet, LAFPOLI and our dedicated network of animal lovers all over Long Island will help spread the word quickly. Time is of the essence. Now that you've submitted your lost/found pet to LAFPOLI, it's time to move on to the next few steps to help reunite your lost/found pet. Click here for what to do next. LIKE our page on Facebook, share our posts, help us spread the word! is prohibited and is a violation of copyright law.